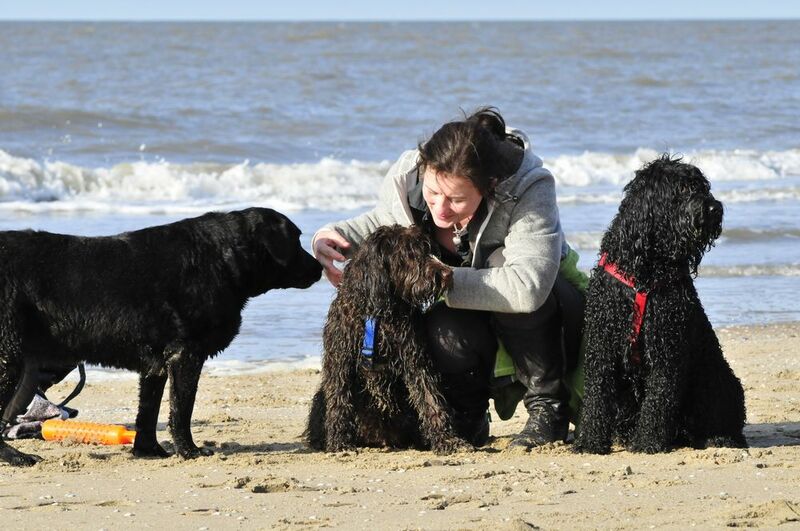 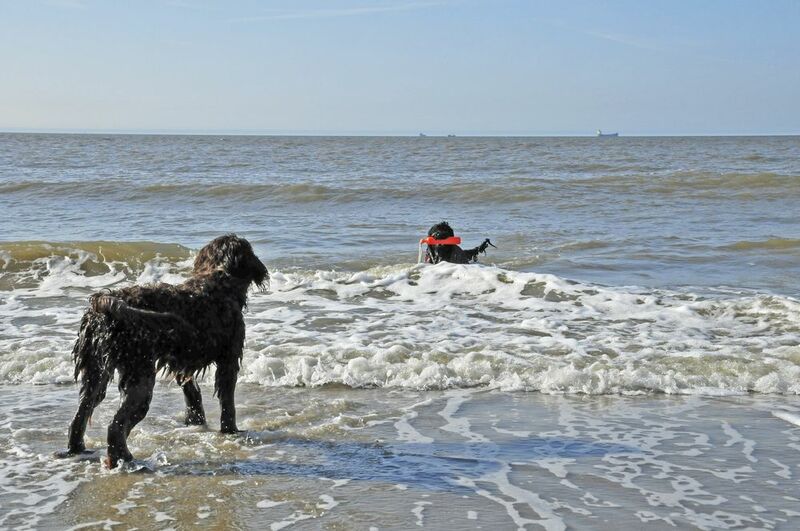 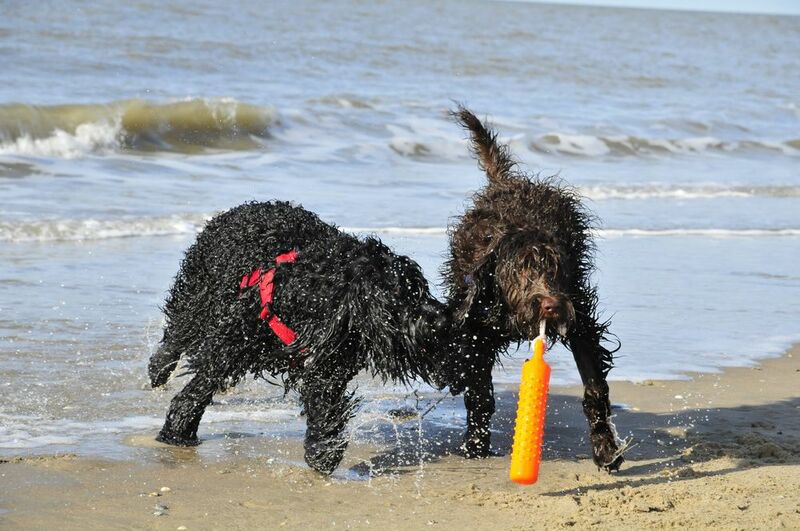 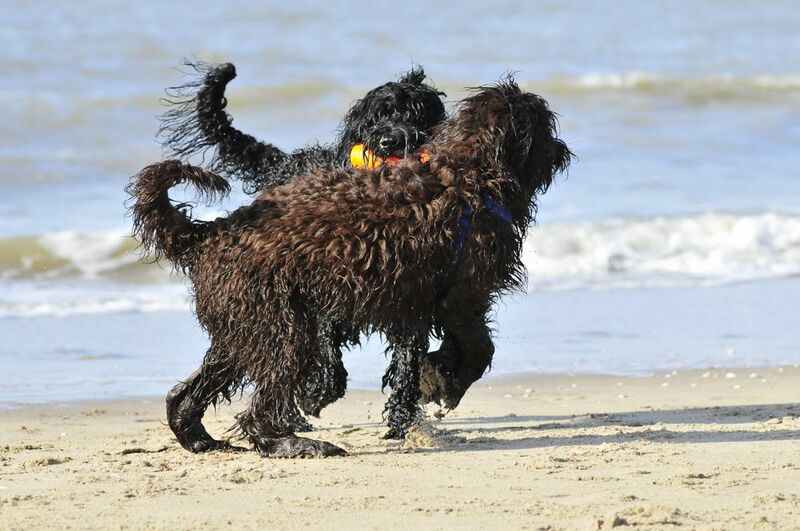 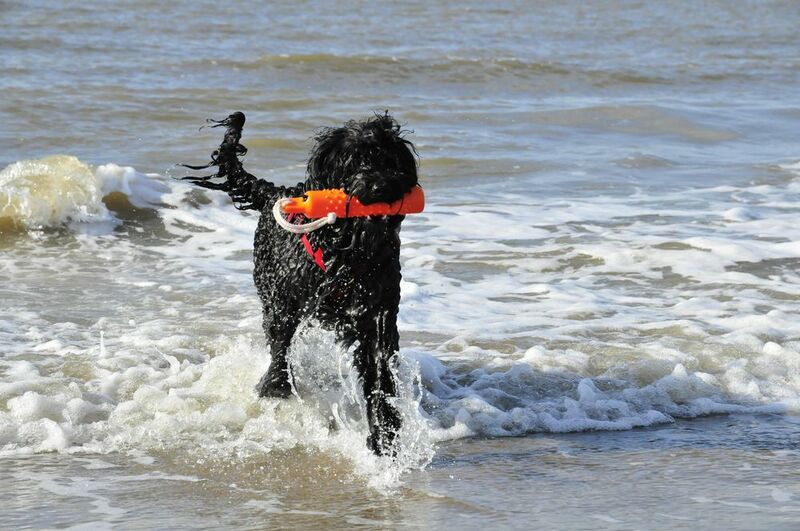 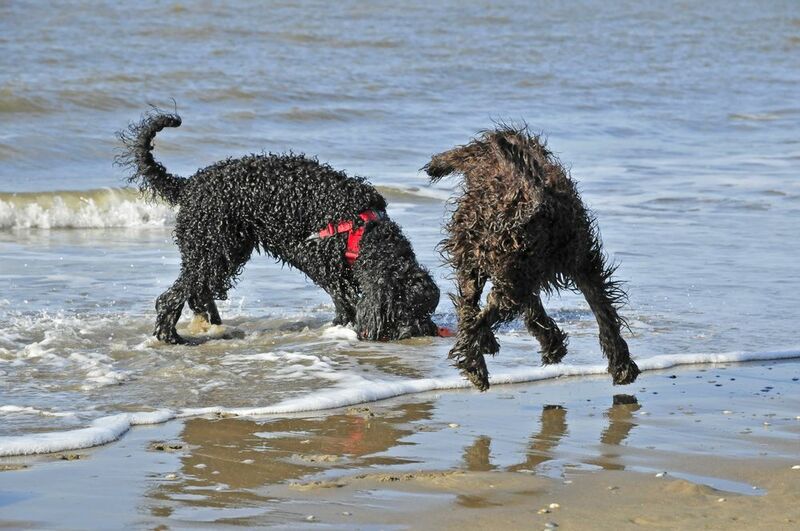 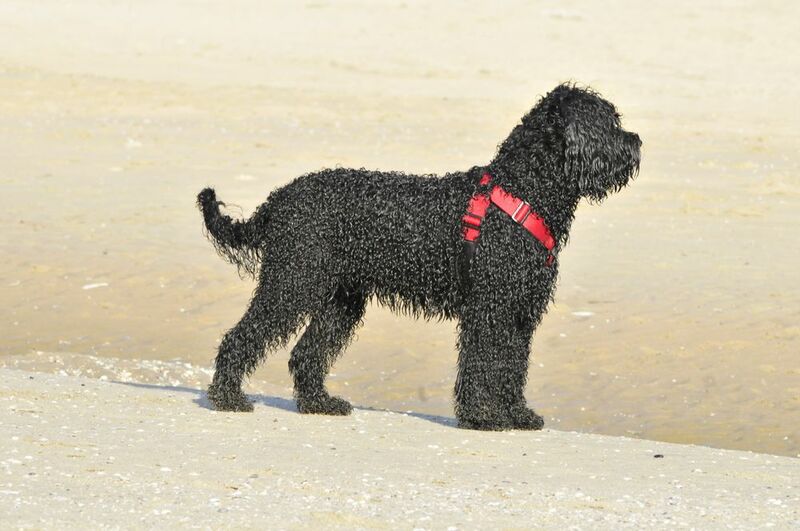 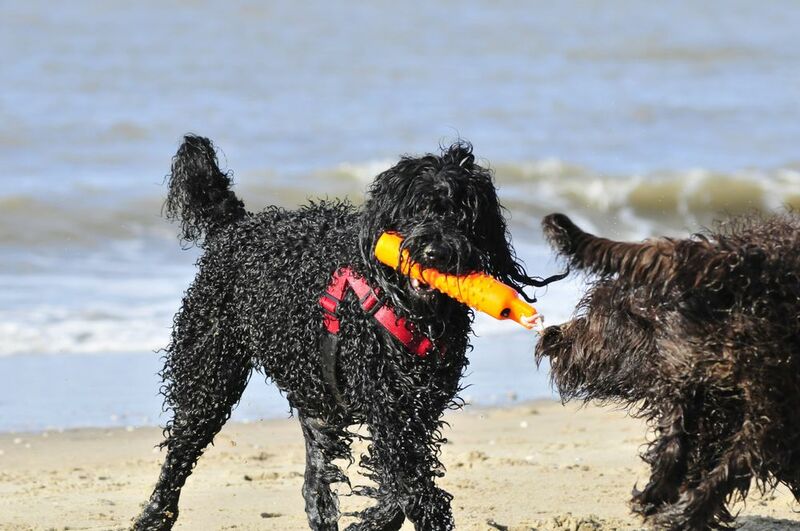 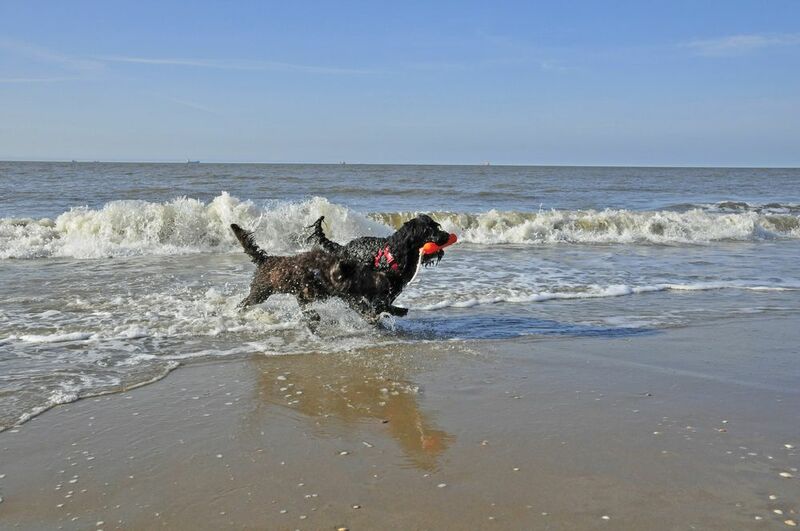 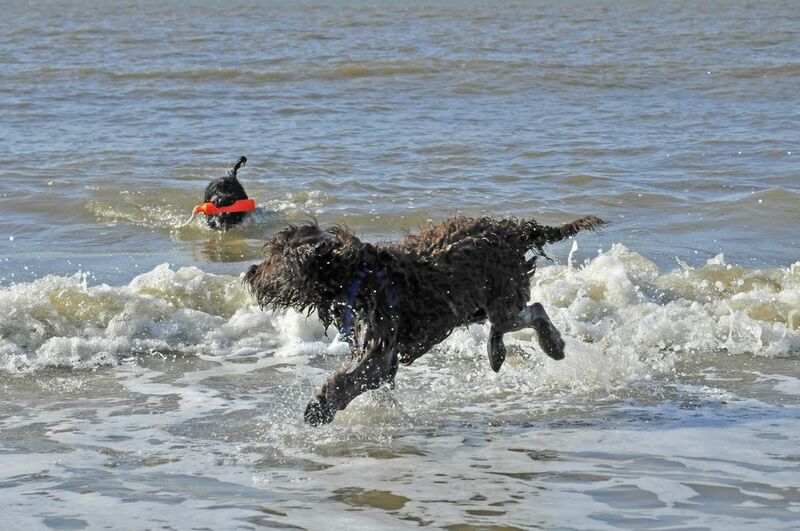 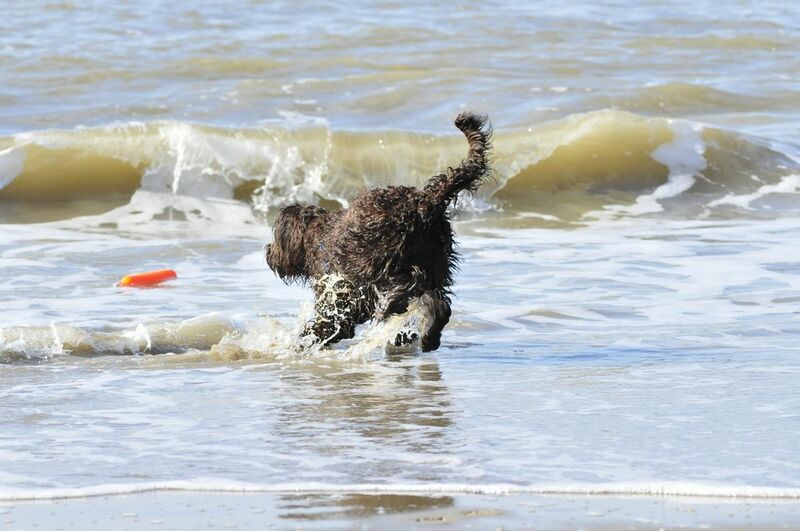 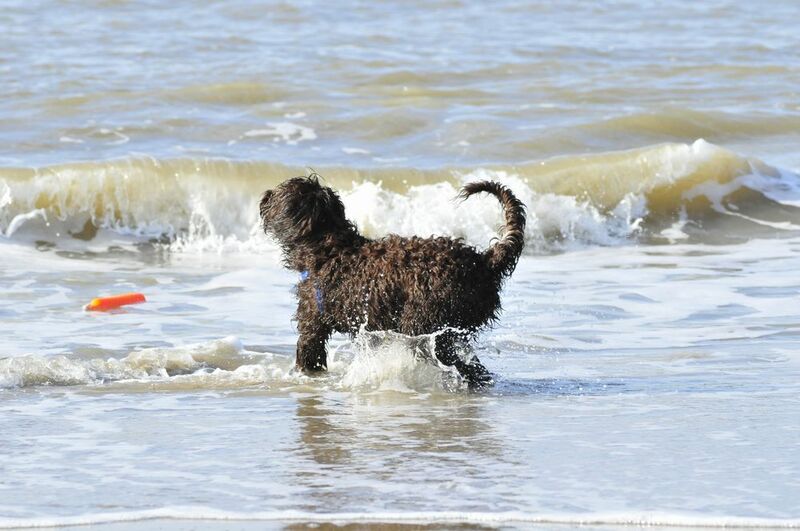 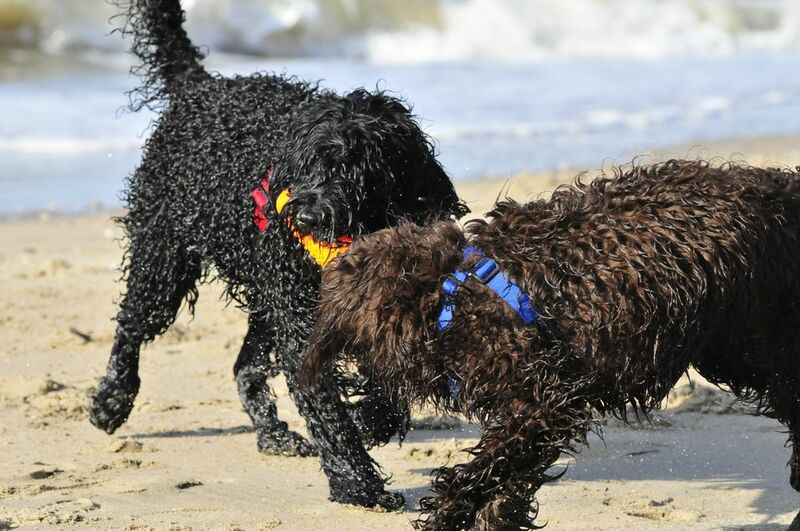 Yesterday the sunny weather tempted us to pack all the dogs in to the car and take off for the beach for the first time this year - and for the first time ever for Moët! 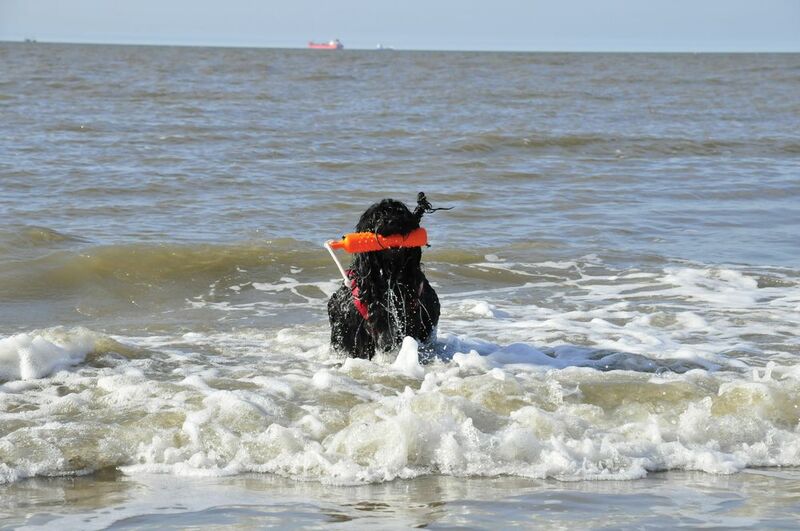 I of course brought the water dummy along and was very eager to try it on Moët. Yatzie never feared the water and the waves and Moët showed great courage too (though it decreased a little after her first wave shower...). 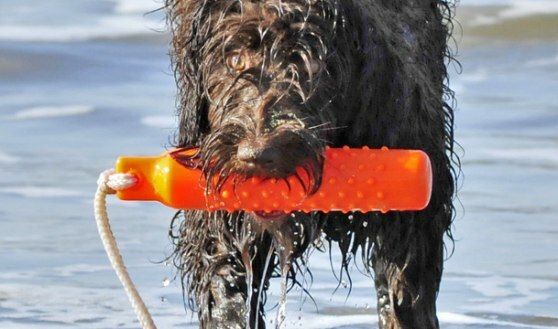 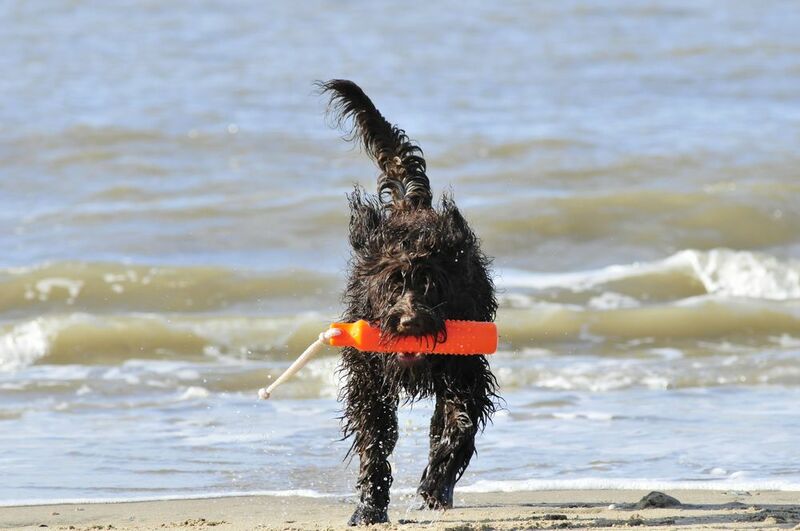 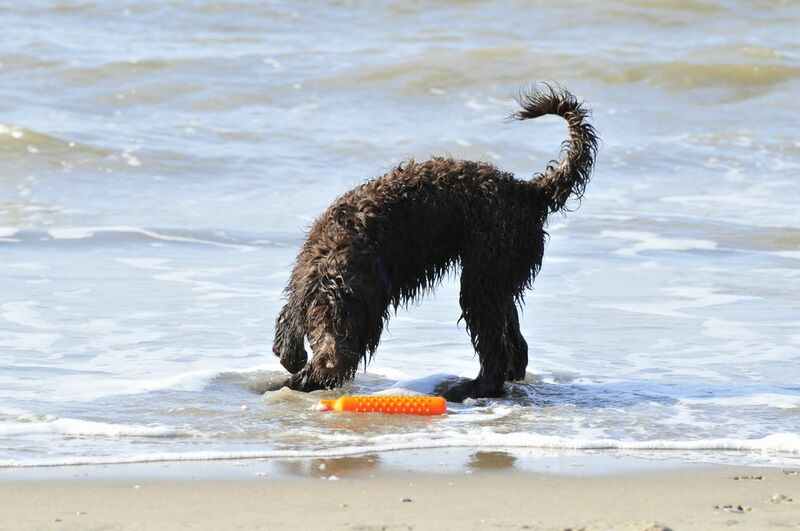 She totally loves water retrieving! It is such a joy to watch her and Yatzie in the water. 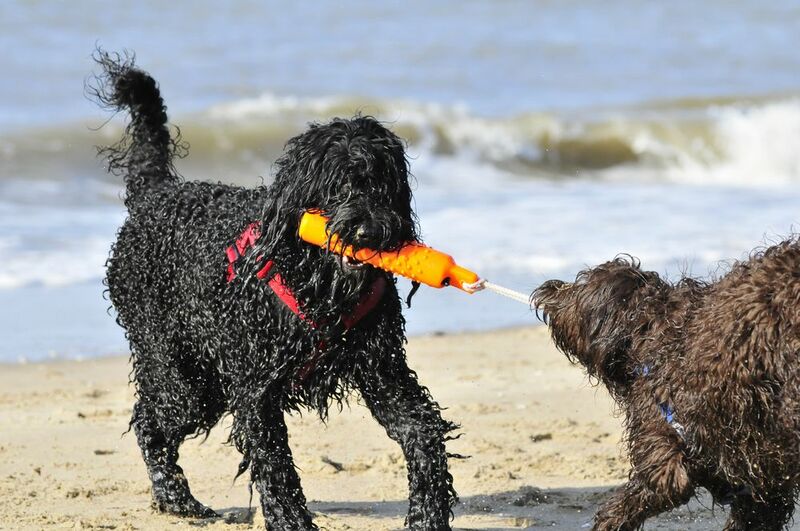 Of course, having two Barbets, that both love the water and retrieving can cause some issues... there was always a big fight over the dummy and about who was going to bring it back to me to get the reward! Moët, despite being only 6 months old, shows a tough attitude and dares to challenge her mother. 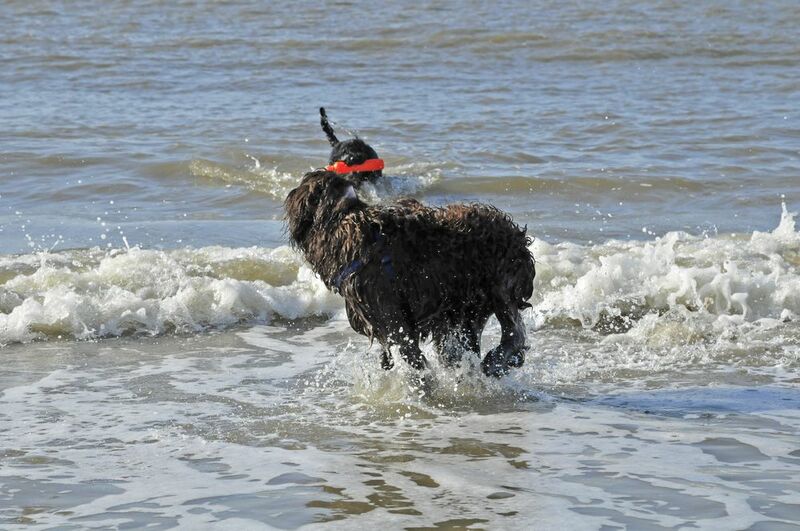 Yatzie is still very allowing. What a joyful hour we had all together. 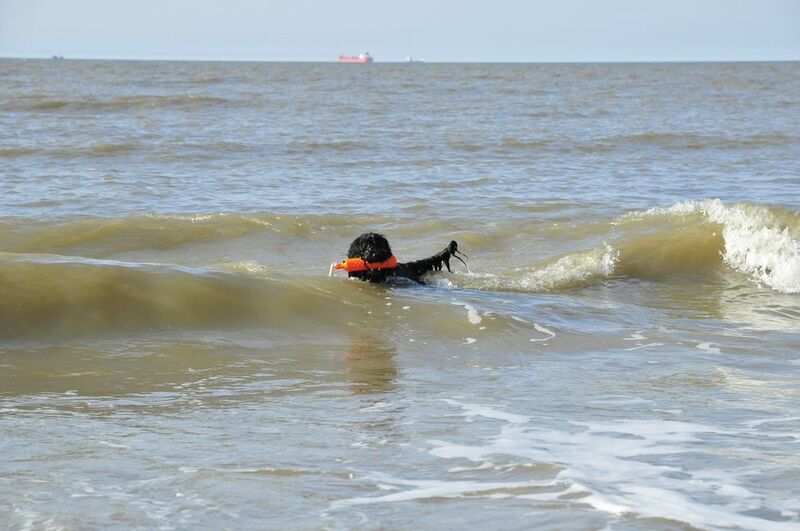 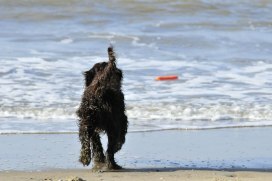 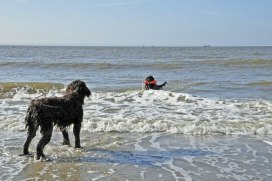 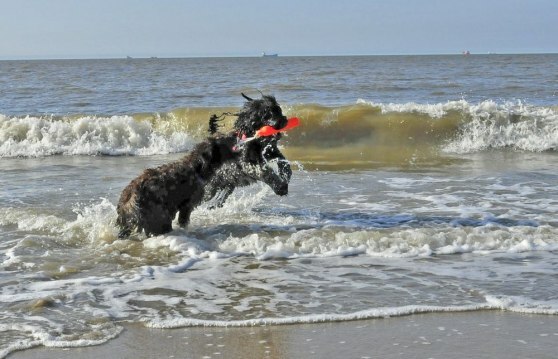 Old Saartje still goes into the water to retrieve her beloved tennis ball, but she moves with some hesitation. 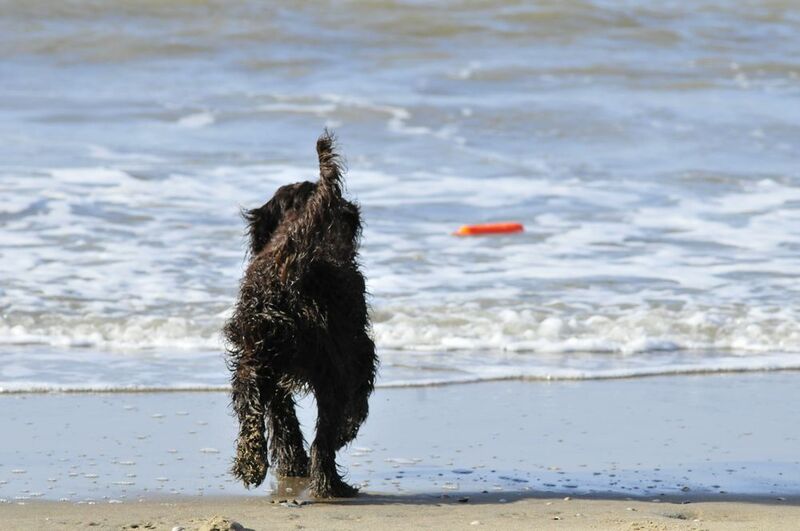 She can not always trust her legs to carry her nowadays. 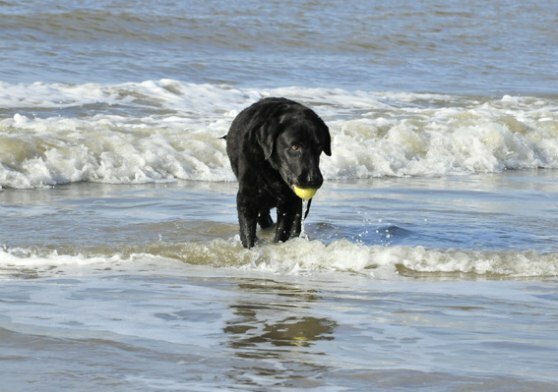 But she is still at her happiest on the beach!